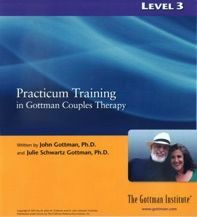 When it comes to completing trainings required to become a Certified Gottman Relationship Therapist by The Gottman Institute - Chicago and The Chicago Relationship Center are excellent options due to factors such as expertise, accessibility, and cost. Dr. McNulty has a broad background in counseling and psychotherapy. He is of the most longstanding members of the Gottman trainer group, certified in The Gottman Method of Relationship Therapy in 2005 and in the first group, chosen by Drs. 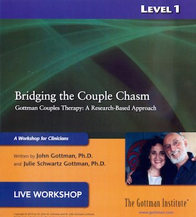 John and Julie Gottman, to present all the 3 levels of Gottman training and The Art and Science of Love: A Weekend Workshop for Couples. Other talented presenters co-present larger events. All of our trainings are held within 20 minutes (non-rush hour traffic) of O'Hare International Airport. Part of our mission is to provide competitive rates for professionals and students to make training more affordable. Very reasonably priced lodging options are offered through Techny Towers Conference Center, where our events occur. In addition, significant discounts are generally available through the Sheraton Chicago Northbrook Hotel, just a half mile from the facility. My first introduction to Dr. McNulty was in October, 2012 when I took Level One of the training in Gottman Couples Therapy. He was the sole presenter in this two-day workshop. I was so pleased with his teaching style and with what I learned that I signed up for Level II the following year. He co-led that five-day workshop with a colleague. My learning in Level II was just as powerful and it had been in the prior course. In all my experiences with Dr. McNulty I have found him to be extremely knowledgeable, highly empathic, very engaging, and completely approachable. I would not hesitate to refer clients to him, no matter how complex their dynamics. His personal humility and collaborative style, as well as his high level of skill and knowledge, would help him engage with and be helpful to most any client, student, or clinician. 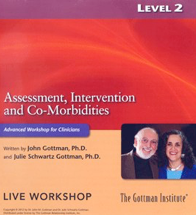 *** Discounts are available for registering for both a Level 1 and Level 2 training; both a Level 2 and Level 3 training; or All Three Gottman professional trainings. See registration page for more info or call Michael at (847) 328-0106.